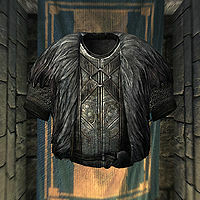 Unique Clothing are a type of clothing available in Skyrim that are generally found in fixed locations, unlike most equipment in the game, which is randomly generated, or generic equipment (see Generic Magic Apparel). Many of these items are quest rewards, although some of the most valuable quest rewards are listed at Leveled Items (unique items, but with level-dependent statistics) and Artifacts (unusually powerful unique items with unique appearances and enchantments). For unique items that are needed to complete quests, please see the Quest Items article. For other unique items in the game, see the Unique Items article. For a list of the other available clothing, see the clothing category. 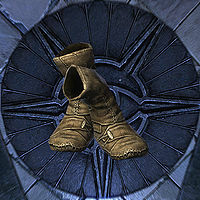 The Arch-Mage's boots are a unique pair of shoes used by the head of the College of Winterhold. A pair of the boots can be found on Savos Aren, while an additional copy can be found in the Arch-Mage's Quarters. The second pair is illegal to take initially, but can be freely used after the resolution of the issues with The Eye of Magnus. The boots themselves are enchanted to provide shock resistance by forty points, decreasing damage done from all kinds of shock damage. For more information, see the full article. 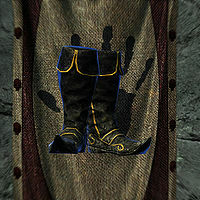 Cicero's Boots are the pair of shoes worn by their eponymous owner, Cicero. These boots are a part of a set that also include Cicero's clothes, gloves, and hat. As Cicero sees himself as a clown, the boots' outward appearance reflect this. The boots are black, with golden detail lines to draw attention to them. The toes are notably pointed making the overall design more distinct. While the boots are physically designed to draw attention, their enchantment has the opposite effect. The shoes have been enchanted to muffle the sound created by movement by half a point, effectively halving how loud any footstep taken in them will be. Cicero's Clothes is the clothing worn by their eponymous owner, Cicero. 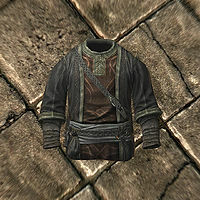 This clothing is a part of a set that also include Cicero's boots, gloves, and hat. As Cicero sees himself as a clown, his clothing's outward appearance reflect this. The outfit is primarily red, with vertical black stripes and golden lines separating the darker collar from the rest of the outfit. 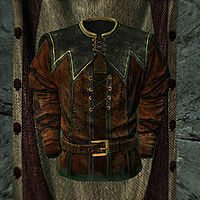 There are a number of patches throughout the article of clothing, likely gained throughout Cicero's travels across Tamriel. The clothing has been enchanted to fortify bartering ability as well as fortify one-handed ability by twenty points each, making it so that the wearer can get a better deal from merchants, or have an easier time stabbing them if the mood strikes. 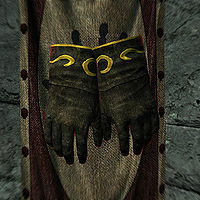 Cicero's Gloves are the gloves worn by their eponymous owner, Cicero. These gloves are a part of a set that also include Cicero's boots, clothing, and hat. As Cicero sees himself as a jester, his clothing's outward appearance reflect this. The gloves are primarily black, with golden trimming at the opening of the glove. The gloves have been enchanted to double the damage of backstabs. Cicero's Hat is the headwear worn by its eponymous owner, Cicero. This hat is a part of a set that also include Cicero's boots, clothing, and gloves. As Cicero sees himself as a clown, his clothing's outward appearance reflect this. His hat is primarily a jaunty shade of red, with black stripes and a black base. The hat has some tears throughout it, as well as heavy stitching, both likely earned during Cicero's travels across Tamriel. The most notable physical feature of this hat are the two drooping points that run from the front of the hat to behind the back end of it. In contrast to its obvious appearance, this festive cap has been enchanted to fortify sneak ability by thirty points, making it harder for the wearer to be detected despite the hat's physical characteristics. 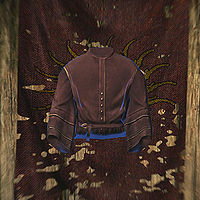 Mythic Dawn Robes are the traditional clothing of members of the Mythic Dawn, preserved from the ruins of time by Silus Vesuius, who wears a set of them and displays two copies at the museum he created within his home. The Mythic Dawn Robes comes in two different styles, one with a hood (000b144d), and one without a hood (00109c11). The two different variants of the robes have the exact same weight, gold value, and enchantment, with the only difference being is that one comes with an attached hood. Alongside the different versions of the robes, a matching set of boots and gloves can also be found on Silus or in a display case within his house to complete the Mythic Dawn look. Mythic Dawn Robes have been enchanted to increase the speed of magicka regeneration by 75%, making it so that the wearer can cast more spells thanks to their more speedily increasing magicka reserves. 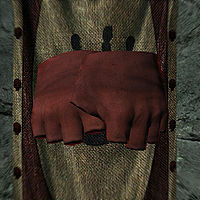 Shrouded Hand Wraps are a style of gloves used by the Dark Brotherhood. 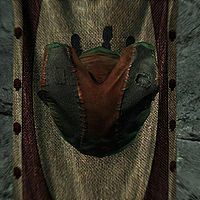 The hand wraps are a part of a set of Dark Brotherhood-themed clothing that also includes a hood, robes, and shoes. The wraps bear an enchantment that allows the wearer to do double the damage they would normally do when backstabbing a target, making them valuable attire for assassinations. 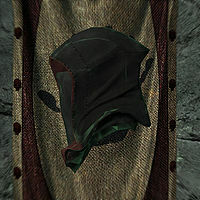 A Shrouded Hood is a cowl designed for use by members of the Dark Brotherhood, as reflected by its dour look and enchantment. Its grim appearance is reinforced by the other clothing items that make up its set, which include hand wraps, robes, and shoes. The hood has been enchanted to fortify sneaking, making it easier to remain hidden from prying eyes and attentive ears. 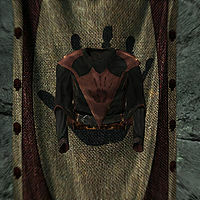 Shrouded Robes are the sinister looking cloaks that are designed for use by the Dark Brotherhood, its faction association clearly displayed through the emblem of the Black Hand emblazoned on the chest of the robes. Besides these ominous robes, this set of equipment also includes hand wraps, a hood, and shoes. The robes bear an enchantment that fortifies destruction, making it so that pain inflicting spells require fifteen percent less magicka to cast. Shrouded Shoes are the footwear specially designed for use by the Dark Brotherhood. These loafers are specifically a part of a set of equipment that also includes a pair of hand wraps, a hood, and a set of robes. The boots have been enchanted to help assassins on missions by making them muffle sound created by the wearer by half, allowing for stealthy approaches and quiet movement when it is most critical to remain undetected. Taron Dreth's Robes are a set of unique robes worn by the eponymous person. 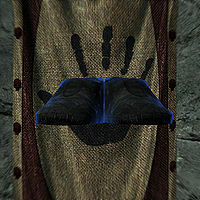 They are similar in appearance to Master Robes and carry an enchantment identical to apprentice-level destruction robes, granting the wearer fifteen points of destruction magic fortification and 75 points of magicka regeneration. After completion of the side quest Lost to the Ages, Taron Dreth may be found wandering Skyrim. Speaking to him with an Aetherial item equipped will cause him to turn hostile and attack you, after which the robes can be looted from his corpse. 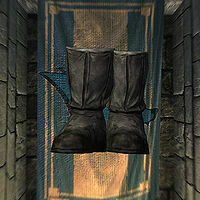 Ulfric's Boots are the eponymous boots of Ulfric Stormcloak. They are made of cloth, but have metal plates over the shins for some added protection. They share their basic design with pleated shoes, although the shoes lack the added metal plates. Ulfric's Clothes are the eponymous clothes of Ulfric Stormcloak. It shares its basic design with a fur-trimmed cloak, but Ulfric's clothes are grey.